All dogs/puppies instinctively look for their own den to call home. 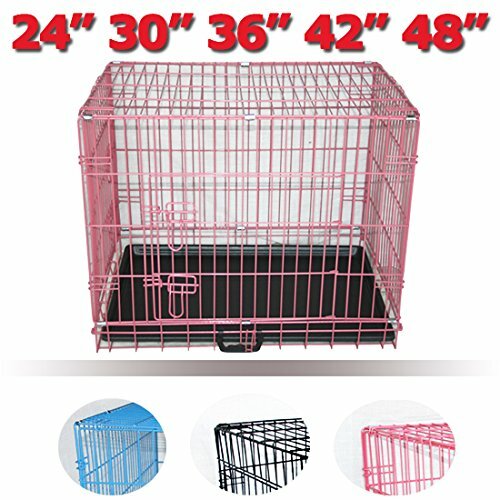 With proper training your dog/puppy will regard their cage as their den and feel perfectly at home. To choose the correct size, please measure from tip of dog's nose to the base of it's tail. Then add 1-4 inches to allow for turning and stretching. -Crafted of heavy duty metal material with lasting durability. -Multiple entries for convenient feeding and training. -Fold-flat, convenient to set up in seconds. Also easy to carry. -Comes with removable PVC tray, easy to clean up. 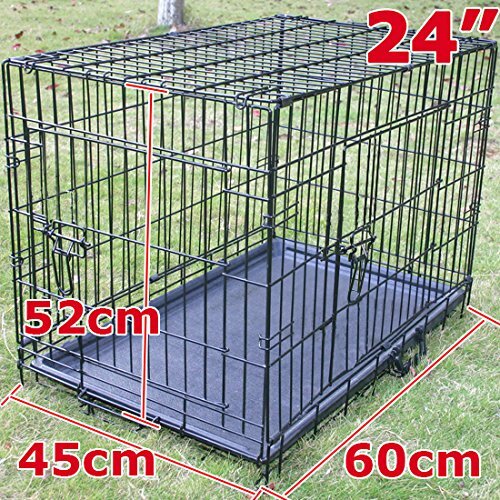 -Perfect for pet training and traveling use. -3 colour available, black, pink and blue. Our delivery only to UK mainland, excluding Northern Ireland, Scottish Highlands and all offshore islands. 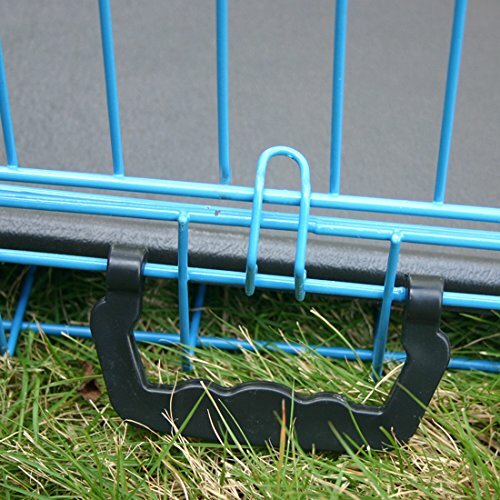 Metal frame, stable and durable. Multiple entries for convenient feeding and training. Fold-flat and space-saving, easy to store. Comes PVC bottom pan. 24" 30" 36" 42" 48" in black, blue and pink.